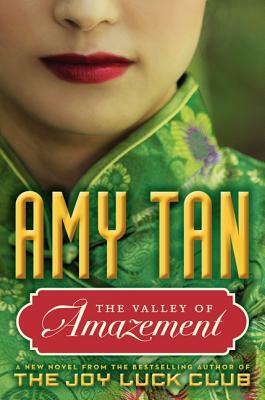 Amy Tan’s The Valley of Amazement is a sweeping, evocative epic of two women’s intertwined fates and their search for identity, that moves from the lavish parlors of Shanghai courtesans to the fog-shrouded mountains of a remote Chinese village. Spanning more than forty years and two continents, The Valley of Amazement resurrects pivotal episodes in history: from the collapse of China’s last imperial dynasty, to the rise of the Republic, the explosive growth of lucrative foreign trade and anti-foreign sentiment, to the inner workings of courtesan houses and the lives of the foreign “Shanghailanders” living in the International Settlement, both erased by World War II. A deeply evocative narrative about the profound connections between mothers and daughters, The Valley of Amazement returns readers to the compelling territory of Amy Tan’s The Joy Luck Club. With her characteristic insight and humor, she conjures a story of inherited trauma, desire and deception, and the power and stubbornness of love. Fans of Tan’s previous works (including The Joy Luck Club) will rejoice when they get their hands on this book.